The cast of SEASON PASS. Photo by Joe Mazza of BraveLux. An Adventure Ride where the audience chooses what happens next! Think Be Kind Rewind crossed with Star Tours crossed with Choose Your Own Adventure crossed with a childhood spent watching too many cartoons. A twisted theme park created by a mysterious artist on the run from the law, Season Pass is a set of interactive story-rides where the audience chooses the course of the story. From the depths of the ocean, to all of time and space itself… and beyond, Season Pass will take you on a one-of-kind adventure every time you strap in! Charlesanne Rabensburg as The Penguin. Photo by Joe Mazza of BraveLux. Ken Miller as Sal. Photo by Joe Mazza of BraveLux. Jessica Saxvik* as Dr. Michaels. Photo by Joe Mazza of BraveLux. 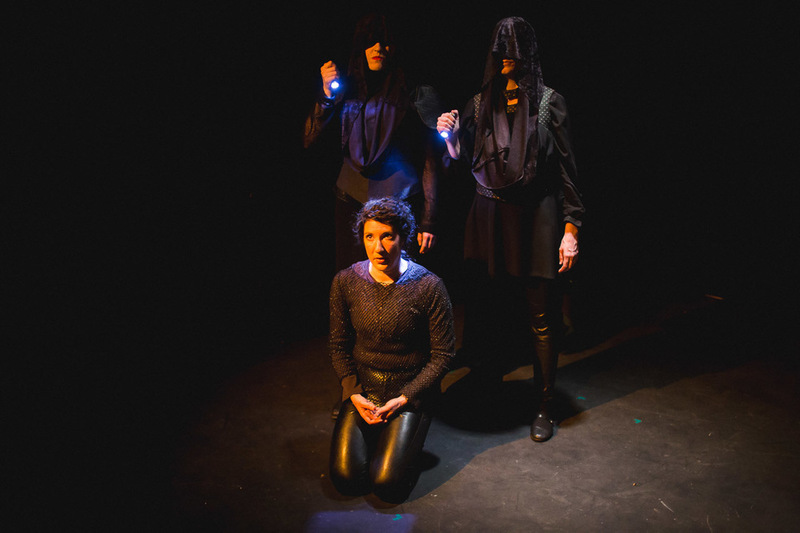 "The Plagiarists have ... crafted a surreal sci-fi thrill ride that is as unpredictable and hilarious as anything I have seen in a very "That is some magnificent theater!" 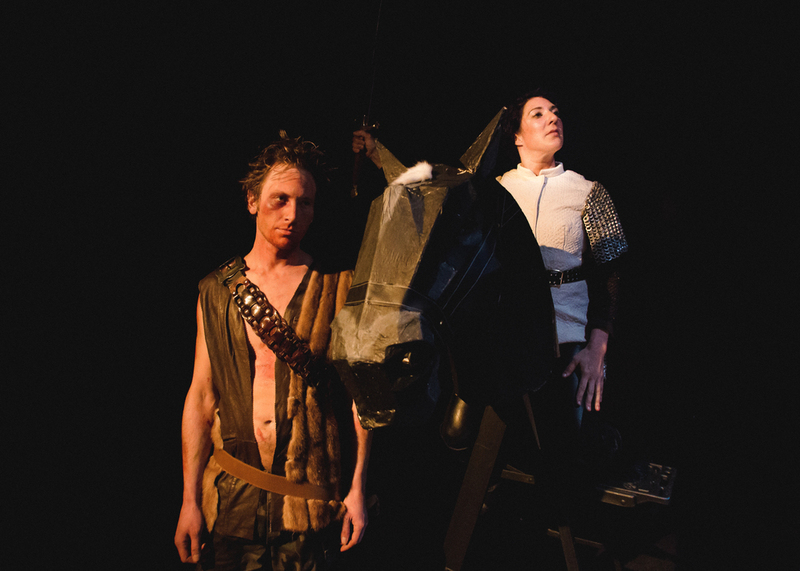 In these saints will burn, Joan of Arc’s familiar story is re-imagined as a world full of giant puppets, poetry, a talking crow, and a trio of saints who may be less benevolent than they appear as they work to secure Joan’s place in history. 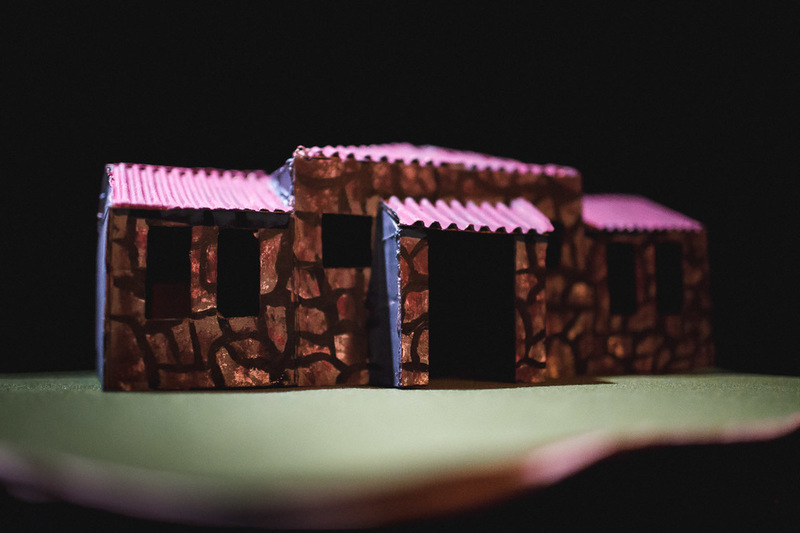 Equal parts farce, war epic, and tragedy, ridiculous and sublime, these saints will burn examines free will, myth-making, human nature, and the morality of violence.